A Midlothian church has re-opened after a £450,000 refurbishment to transform it into a community hub fit for the 21st century. The interior of Mayfield and Easthouses Church has been modernised to create a versatile and flexible space to enable the congregation to serve the local community in more imaginative ways. A community café with children’s play area and charity shop, selling a variety of items including clothing and bric-a-brac, offers the community a place to gather and share refreshments. The building on Bogwood Road, Mayfield, which first opened in 1955, has new toilets, a smart heating system, modern kitchen and floor to ceiling windows which means it is flooded with natural sunlight. Mabel Currie, Session Clerk of Newbattle Parish, said: “We are absolutely delighted that work to create a modern, comfortable building in the heart of our community has now been completed. “It is a source of great pride and joy for the congregation which has always used the church in creative ways and the refurbishment allows us to take that to the next level. 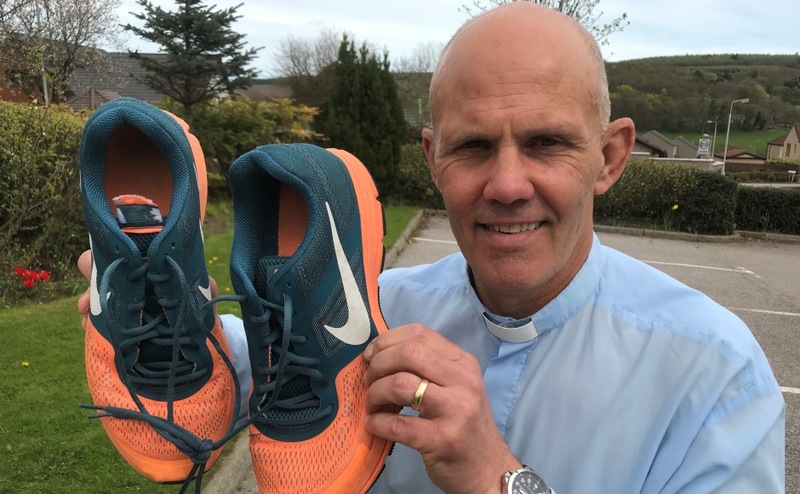 “We are really open to new ideas and exploring what it means for us in terms of supporting our community, developing our own faith and sharing the Good News. 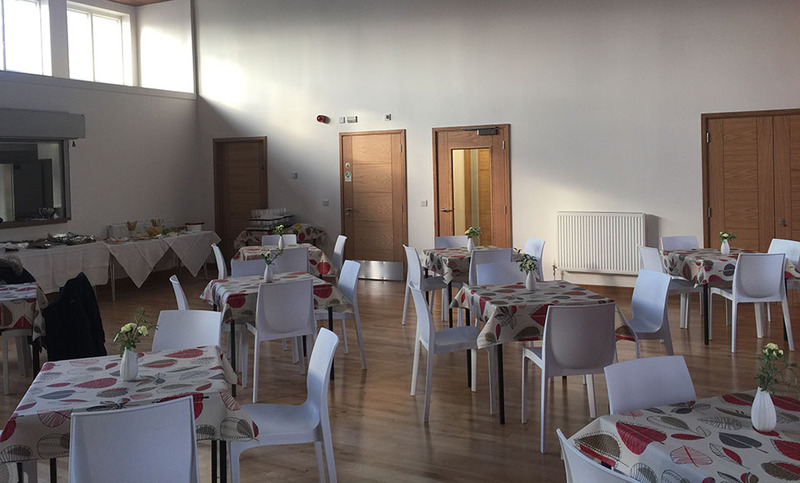 Mrs Currie said the congregation was proud that adults with support needs, who meet in the church hall, will continue to work in the café one day a week reinforcing their identity as valued members of the community. 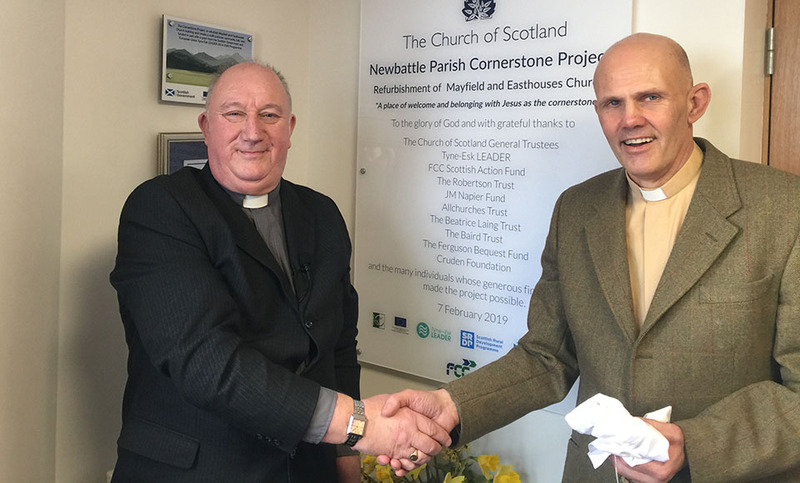 Mayfield and Easthouses Church contributed £70,000 of its own funds to the Cornerstone Project, first conceived in 2011, and the rest of the money was made up from grants, fundraising activities and personal donations. The Church of Scotland General Trustees, contributed £100,000 to the scheme which was completed on time and on budget. Tyne- Esk LEADER, WREN FCC Scottish Action Fund, Robertson Trust and J M Napier Fund were also major financial supporters. The project was delivered by contractor Ashwood Scotland Ltd and overseen by the Kirk Session with support from Lothian Presbytery because Newbattle Parish is currently in vacancy and seeking a new minister. 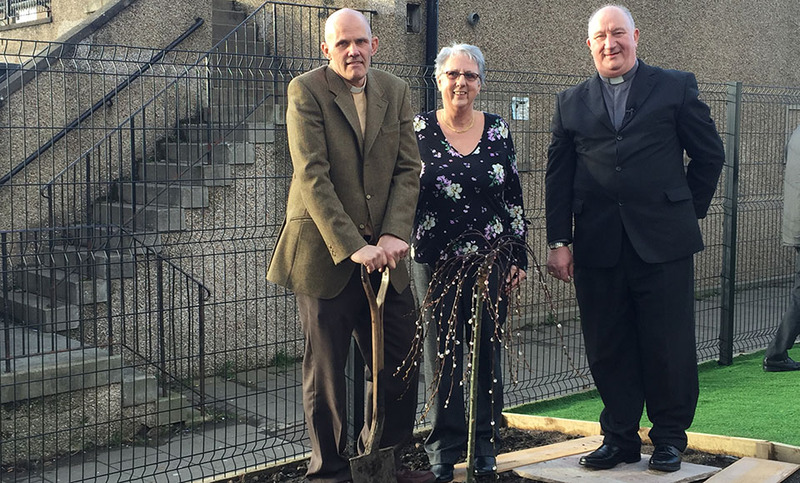 Rev Sean Swindells, who left the parish to become minister of the Parish of Fintray, Kinnellar and Keithhall in Aberdeenshire in 2016, attended the opening ceremony and unveiled a commemorative plaque and planted a tree in the remodelled garden area. The new look church, which hosts a wide range of activities including a Mothers and Toddlers group, youth group and Messy Church, held a service of rededication on Sunday, with the church practically full to capacity. A spokesman for the Church of Scotland said: “The Church is continually reforming and seeking to grow by engaging with the communities it serves in fresh, imaginative ways. “A lot of people have fixed ideas about the Church being stuck in the past but they should think again because it is no longer just about an hour on a Sunday morning.